The men at Prince of Peace stay active throughout the year with a variety of activities. During the school year, there is a monthly Bible Study/breakfast at 7:oo am every 3rd Saturday of the month. What does it mean to be called as a husband, a wife, a parent, a child? How does the grace of the gospel impact how we carry out these particular callings? How does God’s presence address the struggles that our own family faces? Gene Veith joins forces with his daughter Mary Moerbe to explore these kinds of questions in light of Christian vocation and its applications for family life. They show how the Christian faith is lived out precisely in our ordinary relationships, and how a biblical understanding can equip us to move away from common confusions and dysfunctions to persevere in love. 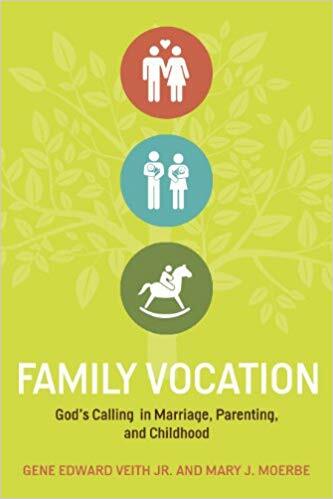 Written with sensitivity and wisdom, Family Vocation addresses the perennial problems and joys of family life and provides a compelling paradigm for creating loving families in the face of cultural pressure.